As a board certified optometrist, Dr. Melissa Shadoan has over a decade of experience in laser vision correction. She began working for TLC Laser Eye Center in Indianapolis in 1999 as a Consultative Optometrist. In 2000, she was promoted to the Clinical Director of the center. Dr. Shadoan specializes in the pre-operative and post-operative care of laser vision correction patients. She has extensive knowledge of the risks and benefits of laser procedures, spending most of her time determining patient candidancy. She has been involved in over 30,000 cases of LASIK, PRK, Custom LASIK, and Custom PRK. She has extensive knowledge of many different laser platforms including the Visx, Alcon, and Baush and Lomb technologies. Dr. Shadoan has also had extensive training and experience with the Intralase bladeless flap technology. Dr. Shadoan’s training began at Indiana University where she majored in biology. She graduated from Indiana University in 1993 with a Bachelor of Science degree in Biology. She went on to complete her Doctor of Optometry from the Indiana University School of Optometry, graduating in 1997. During her training, she was a member of he Beta Sigma Kappa Honor Society, as well as the recipient for the Wessley Jesson Contact Lens Award. She was an Associate Instructor for Gross Anatomy, Ophthalmic Procedures and Neuroanatomy for three years during her time at Indiana University School of Optometry. She completed her degree with high honors, graduating third in her class. Dr. Shadoan completed a one year residency program at the Faust Gelvin Eye Center. This program specialized in the management of cataracts, glaucoma, age related macular degeneration and diabetic eye disease. She was responsible for the pre- and post-operative care of surgery patients. Once joining TLC, Dr. Shadoan underwent extensive training by surgeons across the nation and locally. 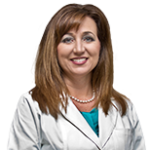 Dr. Shadoan has experienced laser vision correction herself – having had the procedure in 1999. After her life changing surgery, she decided to dedicate her career to the refractive field of the optometric profession. She is active both locally and nationally serving as an educator on Laser Vision Correction and other refractive procedures. Dr. Shadoan helped establish a network of optometrists that refer their patients to TLC Laser Eye Center. She provides clinical training to these doctors by providing lectures, grand rounds, and seminars. In 1999, she published a paper in Clinical and Vision Eye Care Journal. Dr. Shadoan is a member of the American Optometric Association, the Indiana Optometric Association, and the Central Indiana Society of the Indiana Optometric Association.